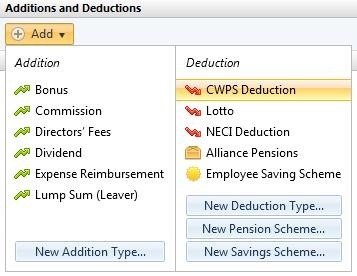 2) The CWPS scheme will now appear in the ‘Additions & Deductions’ section with the default rates for the tax year. Click the ‘Edit’ button, followed by ‘View/Edit Details‘ to view the breakdown of the rates. 3) These amounts can be amended, if necessary. Click ‘Save’ when finished. 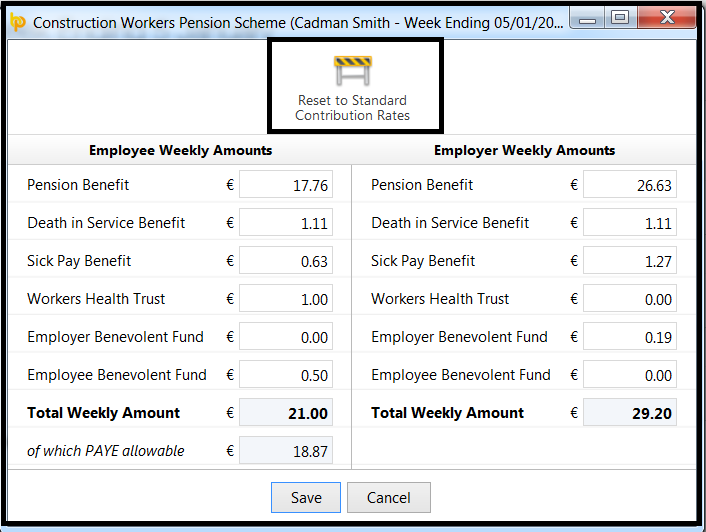 The contribution rates set will now appear in the employee's ‘Additions & Deductions’ section. To revert to the default rates at any time, simply click ‘Reset to Standard Contribution Rates’. 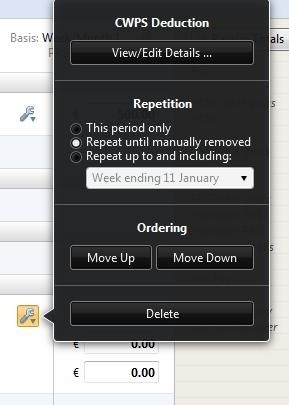 4) Should you wish to edit the CWPS pension you have set up at any time, simply click the ‘Edit’ button. Here you will find a facility to set the scheme to repeat every pay period until you choose to manually remove it or to repeat up to and including a particular pay period in the future. 5) If you wish to re-order two or more additions/deductions you have set up, an ‘Ordering’ facility is also available here. 6) If you wish to delete the CWPS pension, click ‘Delete’.